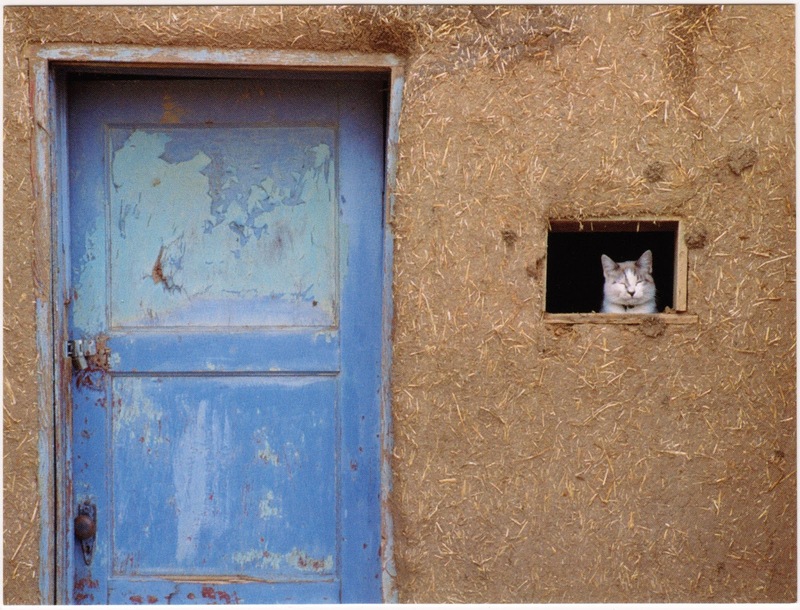 Outgoing postcard US-2680023 to New Zealand shows a National Geographic photo of a cat, next to a blue door, peering out of the window of an adobe house at Taos Pueblo in New Mexico. Taos Pueblo is a Native American community with a population of 1264 in the 2000 census. It was designated as a World Heritage Site by UNESCO in 1992 and a National Historic Landmark in 1960. Copyright by Ira Block/National Geographic Stock. The postcard was created By National Geographic and can be purchased at Zazzle.